Last year’s drought killed grass. Last summer was a record drought. We’ve had them before but not as bad. The entire pasture turned brown and crisp, common enough when rain gets scarce. Yet never have I seen this temporary die back actually kill the grass. Grass did not come back. Nothing to eat here. This spring, when we had rain and rain and everything sprang up thick and green, so did the pasture. Only not with grass. 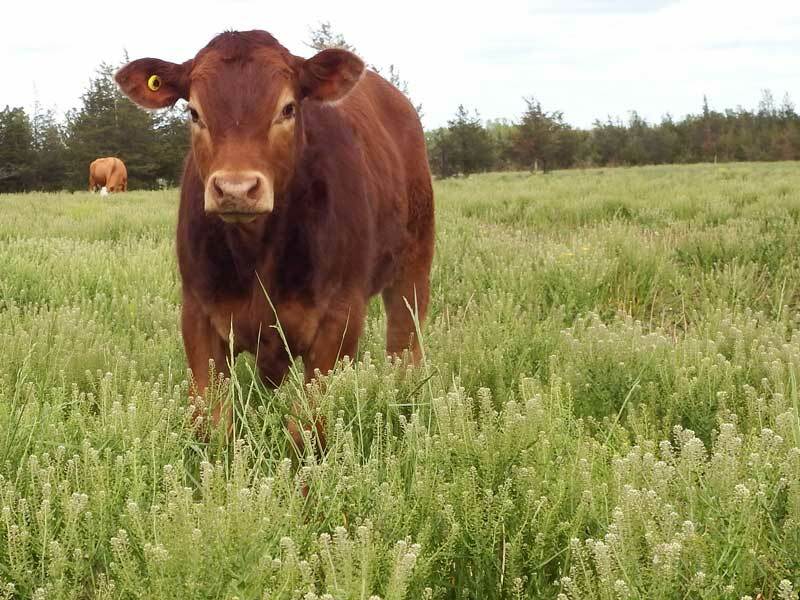 The rich sweep of green that appears to be a bovine’s dream, is really masses of shepherd’s purse, thistles, swale and melange of other things cattle won’t eat. So the herd is roaming the acres finding what they can, looking puzzled by the lushness that comes up to their knees. We cross our fingers that the wild growth of non edibles is only natures first stage of drought recovery and the grass is just waiting underground to gather more strength. Canada geese and babies stuff themselves every day. The wild geese seem to love the field though. They spend all day with their babies out grazing and napping. A good omen. Let’s hope!